The annual spring-time Cully Jazz festival attracts international artists and Swiss musicians to the small town Cully on the shores of Lake Geneva in the Lavaux region between Lausanne and Montreux. Public transportation – go by train, return by bus – usually is the best way of getting to Cully Jazz concerts. Jazz is very popular in the Lac Léman region with several jazz venues and festivals in addition to the world-famous annual summer Montreux Jazz Festival. Each spring, the small Lavaux town Cully attracts top international artists and thousands of fans to the Cully Jazz festival. Concerts in many of the smaller jazz venues and night clubs are free. Family events are also mostly gratis. Special public transportation arrangements allow visitors to easily get to the jazz concert venues from other Lake Geneva cities including Lausanne, Geneva, Montreux, and Vevey. 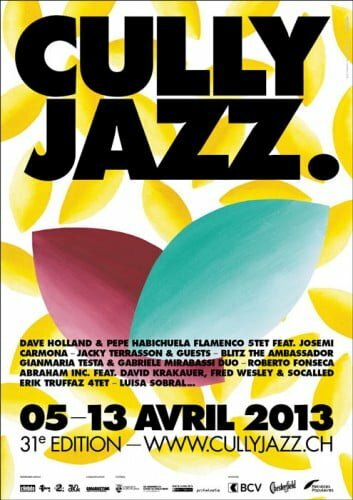 In 2018, the 36th Cully Jazz festival is held from 13 to 21 April 2018. The Cully Jazz festival is held annually over ten days in spring. The three main stages host the “Cully In” festival while “Cully Off” is staged in 13 smaller cellars (caveaux) and cafés. The Cully Jazz Festival In concerts are the prestige events on the program. These concerts attract internationally acclaimed muicians to the Lavaux. The three Festival In venues are the Capiteau, Temple, and Next Step. Ticket prices to the around 40 concerts generally range from around CHF30 to CHF50 or CHF450 for a general ticket. Tickets are available directly from the organizers, FNAC, and Ticket Corner. The Cully Jazz Festival Off program is held in 13 smaller venues spread through Cully. These venues are mostly cafés and cellars with artists mostly more local talent. The around 70 Cully Jazz Festival Off concerts are all free with venues open from 8:30 pm to 1 am (2 am on weekends). Each night, Next Step functions as a night club with various DJs and special theme nights. Admission to the nightclub is gratis and only open to adults (over 18). The Next Step nightclub opens at 9:30 pm and closes at 1 am on Sunday and Monday, 2 am on Tuesday and Wednesday, and 3 am on Thursday, Friday, and Saturday. Special family events are also held at the Cully Jazz Festival. Wednesday afternoons – when local schools have off – are special family days with concerts aimed at school-aged children. Workshops, demonstrations, and open-air concerts are also held for families on most weekends. The Cully Jazz Festival is busiest on Thursday, Friday, and Saturday. The number of concerts on Monday and Sunday is limited and Tuesday and Wednesday are also relatively quiet. Getting to Cully is usually easy by car or train but during the Jazz Festival more planning is needed. Cully has a population of less than 2,000 – parking comes at a premium. Drivers from Geneva should use the Autoroute A1 and A9 (exit Lutry), while from Bern, Fribourg, and the Valais, use the A12 (exit Vevey). During the festival, free minibuses provide transportation from the parking lots in nearby Riex and Epesses. Public transportation is generally a much better idea to reach the Cully Jazz festival. See Swiss Railways for timetables and tickets. Cully is a stop on the S-Bahn RER train lines S3 (Allaman to Villeneuve) and S1 (Yverdon to Villeneuve). Both S1 and S3 trains always stop at amongst other Lausanne, Vevey, and Montreux. 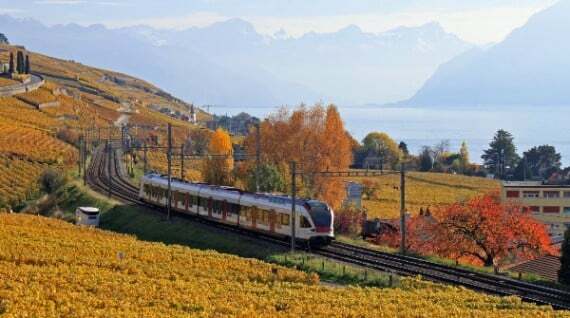 Train traveling times to Cully are around 10 minutes from Lausanne or Vevey and 20 minutes from Montreux. Trains are available at least every 30 minutes (hourly late night). Special late night / early morning trains and bus services are available during the Cully festival. 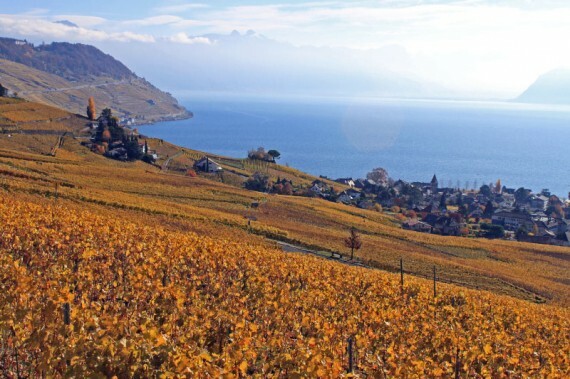 Cully is in the UNESCO World Cultural Heritage listed Lavaux area, which is famous for its terraced vineyards. The area is mostly visited to enjoy the excellent wines and very pleasant hikes in the vineyards with marvelous views of Lake Geneva and the Alps. Classical music lovers will also enjoy the annual Festival Cully Classique (end June) that features mostly chamber music.